We have a wide range of Computer Chairs available in different designs and specifications. Comfort, elegance and durability are some of the features of the range of comfortable computer chairs offered by us. They can be customized as per requirements of the clients' in the domestic and international clients. 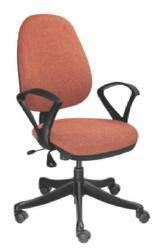 We offer Office Computer Chairs. These chairs are available in wide variety of colours and designs. These chairs are available with PU arms, PP seat and back cover, PU moulded seat and back cushion, seat and back fabric Tapestry. 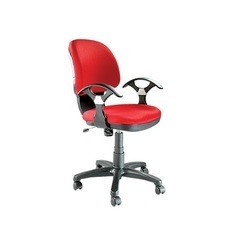 We are the leading supplier of Computer Chair OC857 made available to our clients at competitive prices.